Las Vegas visitors and residents have long known what is now confirmed by the Southern Nevada Better Business Bureau: Kung Fu Thai & Chinese restaurant deserves high honors. 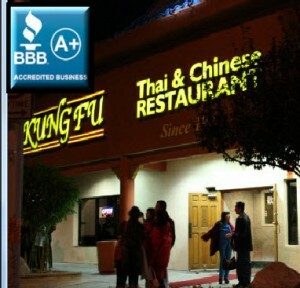 The Better Business Bureau, Southern Nevada chapter, has awarded the highest Las Vegas NV Restaurants grade to Kung Fu Thai & Chinese Restaurant. The A+ rating goes to this Las Vegas landmark, serving authentic Thai and Chinese food for over 35 years. The Better Business Bureau bases its ratings on a 16 factor scale that evaluates customer satisfaction, how long a company has been in business, advertising, integrity, and more. 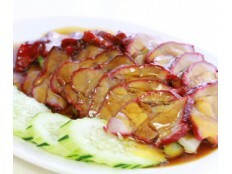 Health preferences are always considered in preparations at Kung Fu Thai & Chinese restaurant. Increasingly, Las Vegas restaurants diners want to stay away from Trans Fats and MSG, and the restaurant is a leader in this area, committed to serving meals of the highest caliber. Mongolian Beef, Orange Chicken and Pad Thai with Bay Shrimp. 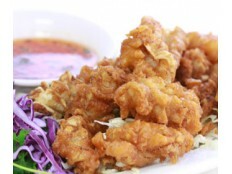 Thai Specialties range from Bean Sprouts & Thai Crispy Pork, and Deep Fried Whole Catfish, to Pa-Nang Beef and Thai Barbeque Chicken. 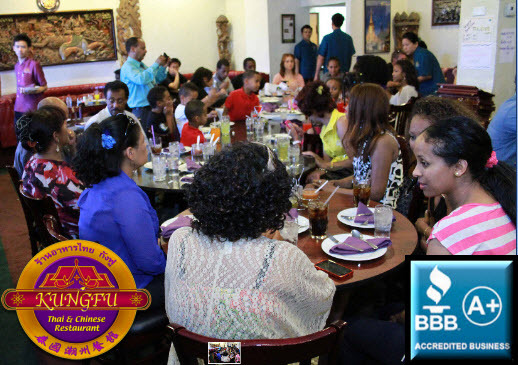 Customers of Kung Fu Thai & Chinese range from clients of many years, to local companies, appreciative celebrities, culminating with Thai visitors and tourists who choose Kung Fu Thai Food in Las Vegas for its authentic cuisine. Delivery is available to all Las Vegas hotels and offices as well as Las Vegas homes. The restaurant, while keeping connected with old traditions, also brings in new technologies, with complimentary WiFi and a streamlined online ordering system that rushes hot entrees to offices, hotel visitors, and residences alike. Kung Fu Thai & Chinese is frequently engaged for special event catering, for weddings, parties, corporate events and conferences. Boxed lunches and picnic fare are available as well. 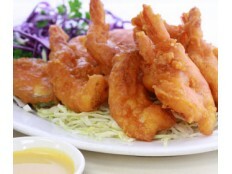 At Kung Fu Thai & Chinese Restaurant, prices are kept low while the standard of quality remains high. Most dishes are enjoyed family style. A relaxing change from the lights of the Strip, the restaurant is just a couple of minutes from the Wynn Resort. 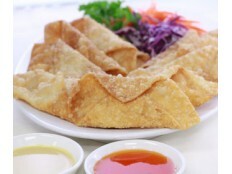 Kung Fu Thai & Chinese is open 365 days of the year, from 11:00 am to 11:00 pm.